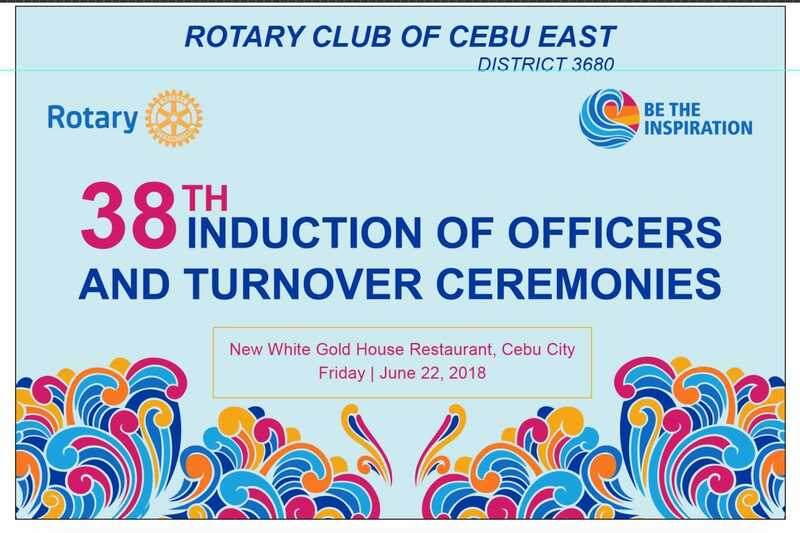 On Friday 22 June 2018, the Rotary Club of Cebu East held its 38th Induction of Officers ceremony. 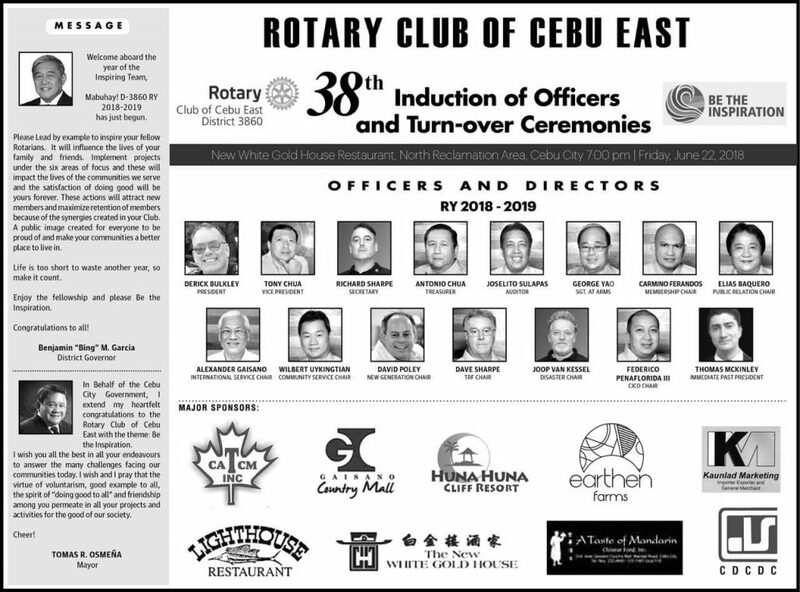 As in previous years, the ceremony was held at the White Gold House restaurant in Cebu City’s North Reclamation Area. The event was attended by numerous illustrious personages, including members of the Rotary International family, statesmen, and important members of the local community. It was a most enjoyable evening, with PP Dave Sharpe serving, once again, as the witty and charming MC. 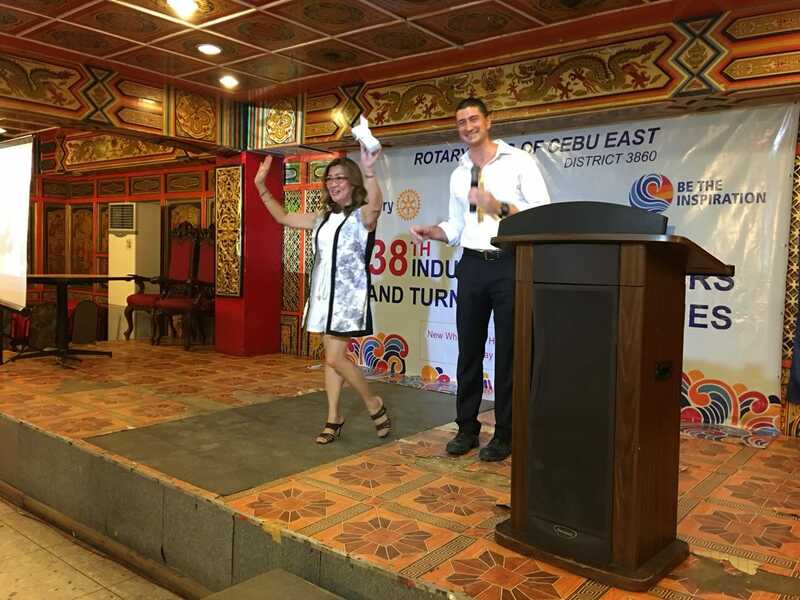 Derick Bulkley of Cebu East was sworn in as President 2018-2019, while Richard Sharpe was sworn in as Club Secretary. Awards were given to our Rotaractor team, especially Dr. Anne Perolino, who has provided constant support to the Club for nearly 20 years! The faith that the Club put in me over the past year is something that I shall treasure all my life. I shall also treasure the opportunity I’ve had to lead our club on missions that have brought joy and relief to people greatly in need. For each mission, I have been thankful to our members, our donors, and to God, for an opportunity to help people live better and happier lives. I mentioned Faith a few moments ago. I believe that when St. Paul talks about “faith, hope, and love” in the first book of Corinthians, he is summing up the message of Rotary. In Rotary, we must have the Faith in God that we can help those in need. We must have the hope that our actions will make a difference. And we must have the love of our fellow man. Love means thinking and acting with Unselfishness. And indeed, the spirit of Rotary is really a spirit of Unselfishness. People ask me, “Tom why do you do Rotary, what do you get out of it? Do you get connections, prestige? 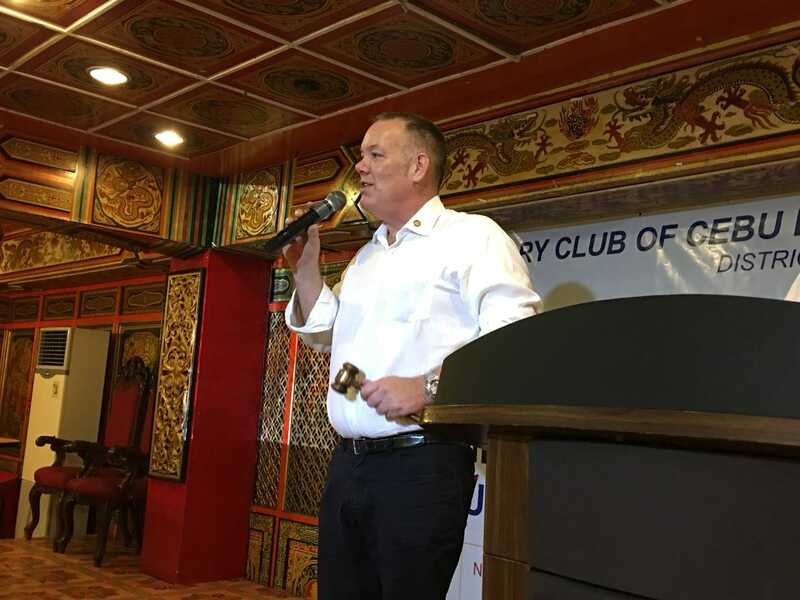 Do you get something for your Resume?” And I tell them, that in Rotary, that the Giving is the Gift. Generosity is its own reward. Kindness is its own reward. 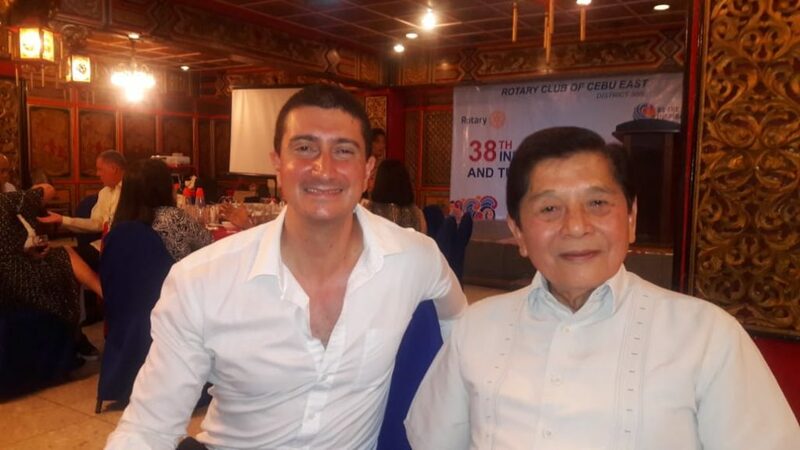 Rotary is not about what you “get”; Rotary is about what you GIVE. « Bringing School Supplies to Kids in Cordova!